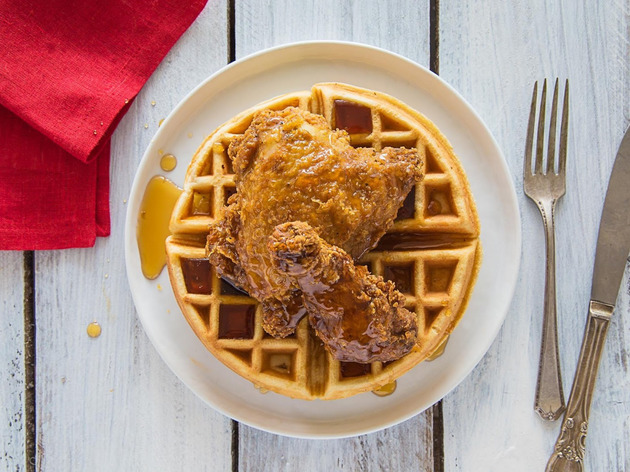 The fried chicken at this no-frills soul food joint is inexpensive and impeccably executed. The salt and pepper seasoned batter is simple, but the crust is fried to crackly, amber-brown perfection. You can order the chicken as a 6-piece, 8-piece, or 10-piece meal, but it would be a mistake to miss the waffles. 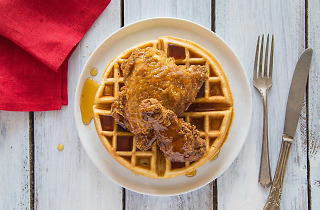 The crispy, Belgian-style waffles come in original, cinnamon, or buckwheat flavors, topped with your choice of a 2-piece thigh, wing, leg or breast. Regulars slather everything in April’s Sticky Bone Sauce: a sweet, spicy, addictive barbecue glaze. Save room for Boogie’s shareable dessert waffles, which come in varieties like banana foster, red velvet, chocolate cake, and strawberry-n-cream.